It’s me again, Barb Brake-Frunt. Thank you so much for the terrific post about the living room furniture. I forgot to tell you about the dining room furniture. Granny’s dining room furniture is a matched set. I’m sure that you know what I’m talking about. In fact, I think I read about that faux pas in a post once upon a time. Her dining room furniture does not all fit into our dining room. Gran’s dining room was a large room, about 14 x 20 and our dining room is 11 x 15. That large breakfront does not fit in the dining room. However, there is the perfect wall between two windows in the living room. Would it be weird to put it in there? Oh, wait. There’s more. Half of the chairs are falling apart. I think that I have maybe at most 6 usable chairs. Maybe. I guess I could get the others fixed, but why spend money to fix chairs that I don’t like in the first place? Hey y’all, this is part II of the post about the fictitious Barb who inherited all of her Gran’s dated furniture. But it triggered a memory that I have of clients from about 14 years ago. They were a nice young couple with three young children living in Chappaqua, NY. They were ex-Manhattanites who fled the city after 9-11. My assignment was to help them with window treatments for several rooms, rugs, the entire living room and a kitchen table and chairs. Since they had nothing to sit on in the kitchen, that project took priority. I discussed my ideas with the wife in an early meeting and she loved the idea of doing a cherry table with a slight antique look with painted chairs. And then, I thought it would be nice to do an upholstered chair for the host chairs. She loved it all. So, I went back to my studio and put it all together. For the next meeting, we met on a Saturday when her husband would be there as he had a keen interest in what was going in the home. I showed them what I had in mind and I could tell that the wife loved it all, however, the husband looked at me as if I was threatening to torch the place. NO WAY!!! He barked! THE CHAIRS MUST MATCH THE TABLE!!! Seriously, I do. Fine. It’s their home. I don’t want anyone to live with anything that would make them uncomfortable. And hey, it makes my life easier. Cherry table. Matching cherry chairs. Done. I would die of boredom, but hey, it’s not my house! However, this was the one and only time out of dozens of times I did dining room furniture that a client insisted that they match. Otherwise, I never did a matching set. And almost always the chairs were something different than the table. Not all the time, but the majority for sure. Oh! and I frequently put china cabinets large and small in the living room and they look great! Some put in china and some put in books or a combo. Here are some examples of dining room furniture that in my opinion, I would avoid. There are a lot of pieces in the Furniverse that are perhaps loosely based on a style, but not designed-well. They tend to be disproportionate with exaggerated design elements. The one above is loosely some Baroque-esque, Venetian-esque, abomination that I’m sure costs a lot of money. And fine, if this is your taste. You need a very large dining room to accommodate all of this. But let’s say that you were under pressure, confused and realized after the truck pulled away that it was all a big mistake, what can you do? Well, you could put the chairs on Ebay and paint the china cabinet. 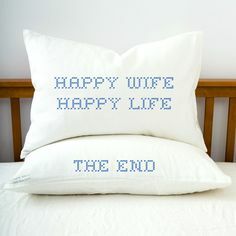 Sure, your husband will think that you’ve lost your marbles or maybe he’ll secretly be thanking the heavens that you’re doing something about this! 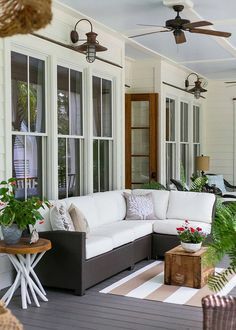 And slipcover the chairs in some heavy white cotton duck or even drop-cloth fabric. 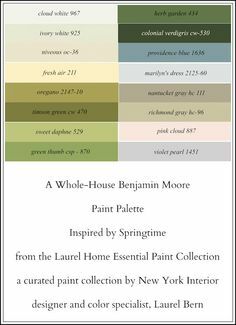 Then, paint the walls a wonderful navy like Benjamin Moore Deep Royal found in the Laurel Home Paint and Palette Collection. Change out the chandelier for a beautiful crystal piece. The heavy brown will “disappear” and it will take on a Ralph Lauren look. A little. One of the main issues is that the furniture is so big and heavy, it NEEDS the walls to be dark. See how it creates a more harmonious space in this beautiful dining room above. Use crisp white trim and beautiful white drapes and lots of great lighting and mirrors. It will be beautiful. Exhibit B = Gran’s dining room furniture– Queen Anne-ish. It’s not that it’s bad, the dining room table and chairs, that is. It’s just horribly banal. The breakfront is not Queen Anne. It’s not Queen anything. This is an antique Queen Anne China cabinet. It’s for sale at Melrose. And a Chippendale style dining room furniture set. It’s not terrible, but it’s an awful lot of brown. Again, I would paint the walls a deep rich navy. And how about painting the chairs like Mary McDonald did in her gorgeous dining room, below. Here’s a set of six such chairs for sale at BW Home. Queen Anne-style chairs white-washed a chalky white. Love this. Available at Full Bloom Cottage. And looky here what the fabulously Karen (aka: The slipcover maker) did to this chair. Wow! What a transformation! She is so talented! I adore her slipcovers. And check out this baby. This is a slipcover? (it really is!) I had to read it v e r y c a r e f u l l y to make sure that my tired mind wasn’t playing tricks on me. That is the most beautiful slipcover I’ve ever seen. It does not look like a slipcover. Oh make no mistake, she can make them look less fitted, but I love this upholstered, but not really look. Please follow Karen, the slipcover maker on pinterest. One of my all-time favorite dining rooms is this classic by David Easton. Here, David used a Gustavian Swedish table and a Queen Anne chair. (Those are probably real antiques or else superb repros). He added an exquisite crystal chandelier and the wallpaper could very well be hand-painted. However, this version seems to have more detailing. Just gorgeous. Designer, Amy Morris Architect, William T. Baker and Photography, Erica George Dines. Love the little dressmaker slipcovers on the seats. I think it adds a lot of style and knocks back the formality of the Sheraton Style dining chairs. Fabulous dining room with neoclassical themes and slipcovered dining room chairs. I love the table! A fun dining room by Eddie Ross with a herringbone ceiling! The French chairs from Ballard Designs with painted black frames are so chic in this dining room. And the fabric is unexpected and cheery. Beautiful little cabinet painted a chalky black. Pretty linen slipcovered chairs in a cool, rustic dining room by Wendi Young. Slipcovers can be made for almost any chair. And don’t forget that most chairs can be fully upholstered. Something to keep in mind. Love the color they painted this cabinet. I could see it on a wall in the dining room above it. So pretty! I would hate to put anything inside and I would definitely leave the doors open all the time! dining room by designers Andrew Brown and Jane Hawkins Hoke, photo Annie Schlechter for Veranda. There are more images of this spectacular home on Habitually Chic. Wonderful eclectic dining room. Love the mix of furnishings. Okay, the bling chandelier is way trendy. I’ll forgive them for that. I do like it, but they’ve become quite trendy and will be one day, so early 21st century. Love all of the elements of this dining room. I would never have thought to pair a rustic table with Biedermeier- style chairs, but it works! The wall color is Benjamin Moore Polo Blue. For more great dining rooms click here and here and here. And now for a special surprise, not related to dining room furniture. The darling Claire Jefford interviewed me a couple of months ago and just released the video. Claire is a delightful interior designer (that’s her ID website) from Toronto that I met at KBIS and we immediately hit it off and then she asked me to do this video. In addition to being an awesome designer, Claire has branched out into being an amazingly motivational interior design coach. I can’t recommend her highly enough. Well, it’s where I reveal all of my blogging secrets. Really. All of them. Including the trick I use to get y’all to sign up. Well, it’s not really a secret. It’s been at the top of every frigging post for over two years! If you are a blogger or you are thinking about starting a blog or you just want to see how gross I look on camera, please take a look below. All you need to do is click on the image below and it will take you directly to youtube where the video lives. Or, you can also access it through Claire’s Youtube Channel. Oh, and she made a free tip sheet. I haven’t even read it yet! Please enjoy! Laurel,very thoughtful post – as always! When I first started my career, my parents had a booth at an antique market. I’d go every Sunday to help out AND of course, check out the latest finds from each vendor. I was very much into ‘upcycling’ & painting old furniture to give it new life, so I’ve seen my share of Queen Anne styled chairs & matching tables! I love how a coat of paint and a a newly upholstered seat can spark new life in these pieces of furniture. Well, you’re a natural at the interviewing webinar thing. In fact, I’ve been wondering if you have a background either in theatre or journalism or something. As for how I look on camera. I dunno. I’m struggling here. lol And as I was listening and realizing that I was sharing ALL with the world, I quickly checked to see if I had any subscribers left. haha. As it turned out, the attrition rate was less than usual after posting. The beautiful dining rooms (coming after the granny-ones) are way to luxe to think of actually using to EAT in… Do you suppose they are ever used for dining? Yes, lol, they are used for eating. But, nothing is totally real in photos. You know they are primped and polished, styled and bathed in golden light. Laurel, I have this exact dilemma. I have a Queen Anne dining set made of beautiful crotch mahogany, so it all matches, and my husband would commit me to an institution if I even suggested painting any of it. I already had the thought to bring in blues to tone down the wood. The rug is a Persian Nain with creams, light blues, & navy. I’m not a slipcover kind of girl, so I’ve reupholstered the chairs in a blue and white stripe (the blue similar to BM’s “Blue Porcelain”). I wanted to paint the walls navy, so imagine my excitement at your advice! But here’s the problem: The room has no windows (we live in a townhouse). Will it look like a cave? There is white wainscoting 3 ft up the wall, but our ceilings are 10′, so it would be a lot of navy. Would I be better off with a floral navy & white wallpaper? Oh dear… I wish I could see this space, but I can’t. There are so many things I don’t know and N, it’s frustrating for me too. I wish I could help everyone with their problems, but it’s everything I can do, just to answer some 200 blog related comments/emails every week. 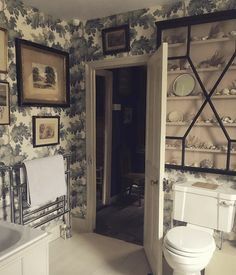 The only thing I will say is that I don’t think that the navy and white floral wallpaper is the answer. Hi Laurel, I completely understand. Thank you for taking the time to respond anyway!! I will definitely keep a look out for your upcoming post! I respond to everyone unless they are nasty. It doesn’t happen often, but it does happen. Their problem. Oh no, not double story, just 10ft. The entire main level is 10ft. Thank you for your advice, Laurel! It depends on the china cabinet and the room. It’s fine to have a large china cabinet in the dining room if it can be accommodated and it’s even fine for it to be a dark stained wood, but if the wood is dark, the walls need to be fairly dark too. Usually. It’s the balance thing. Ok, so my dining room is the EXACT furniture in Number 3 above and my husband will not agree to get rid of it. I could probably swap out or paint the chairs but that’s about it. Right now the room is red above the chair rail and white wainscotting below. (Yes, it’s been that way for about 15 years). As far as paint, I considered going either white/very light or a navy. Now that I see your photo with the light walls and my exact furniture, I am thinking that the light color will be a bad idea! Your navy inspiration photos really make me want to head in that direction even though I thought I wanted to lighten up the room since it is north facing. So maybe paint the top part of the walls navy, the chairs white and maybe buy a couple fabric head chairs? I want you to know that I get so much inspiration from your blog and admire your taste so much. I always look forward to every single post! Thanks for the great ideas! This post and your previous one brought up a problem I’ve had for years. My husband inherited Victorian furniture from his grandparents. Some of it is beautiful like the incredible bed that dates pre-Civil War with a bullet hole in the headboard! Others, not so much like the 2 parlor chairs, one for a lady and one for a gentleman…and the sofa to match. Heavy mahogany wood carvings that circle forward, and the upholstery is worse…gold on the chairs and burgundy on the sofa, all with button-upholstery seat backs. I’ll try to link a good example of the chairs and an example or two of some re-done…but I haven’t found a good example of the sofa yet. Mostly I find them in the French style, but not the English Victorian and they are quite different when trying to update! The pretty white washed and slip covered Baroque chair you linked was inspirational! I would love to hear your ideas on re-working this type furniture and apologize if you already have! That Cathy Kincaid dining room with the Zuber wallpaper is just drop dead gorgeous, with one caveat on the antique chairs. Before you buy them- be sure to measure for seat height if the table is of a different vintage, because modern tables can be higher. You are so right- her chairs had a seat height of 15″, and they looked positively ‘Lilliputian’ around her taller, modern table..
Great post – every time I see one of these matched sets it always reminds me of dollhouse furniture (I actually remember buying almost this exact same Queen Anne-esque set as a kid). Thanks also for sharing the fabulous Cathy Kincaid dining room! With the upholstered banquette and no traditional breakfront/buffet it really has the feel of a living room that you can also eat in (an “un-dining room?”) without being too casual. Reminds me of the post you did on whether formal dining rooms were “out” or not. What a timely (and fantastic) post! I’m in the process now of updating my dining room. I switched up my old blue paint for BM Chelsea Grey, which I absolutely adore. And I’m in the process of having my upholstered chairs slipcovered with a lovely Perrenials fabric in an off-white. I’m struggling with my drapes though and your suggestion to do white ones. I feel like blue walls + white slip covers + white drapes = a little too casual for my formal dining room. Shouldn’t there be some pattern somewhere to break up all those big color blocks? Your post shows a wonderful mix of patterns but I’m really struggling with visualizing the drapes. Ahhh, you lost me there because in the beginning, it sounds like your walls are now Chelsea Gray and then later on, sounds like blue. But here’s the thing. I can’t see your room. I can’t see what else is going on. I don’t know what your definition of formal is. And no, there doesn’t have to be any pattern. but you also need to consider what’s going on the walls. It’s not easy, I know. But if you’re really struggling, then I would seek out some help from a local professional. Many designers will happily come to your home for an hour or two and I know that when I was doing consults, the clients always got a lot out of them. The designer will undoubtedly point out some things you had never thought of. Laurel- clearly you enjoyed doing this post. It shows. My Italian husband has shown me for 35 years, that dining is a celebration. Who are we kidding with formality and matching anything? Dining rooms ought to be celebratory. Or what good is cooking? I know! It works til that one sock goes missing. Then there’s that odd one! Here’s a trick for you– my husband kept stubbing his toe on a leg of a sofa at the foot of our bed. I put really thick black socks on those legs! That’s terrific! And one other thing is that chairs, if they’re painted don’t have to be white, black or gray. They could be green or red or blue. It just depends what else is going on. Also, they might be mostly upholstered. You look lovely! Not gross at all. That’s a good idea about the gallery wall. I have done some posts about them, but not in a while and not addressing one very long wall with nothing to break it up.